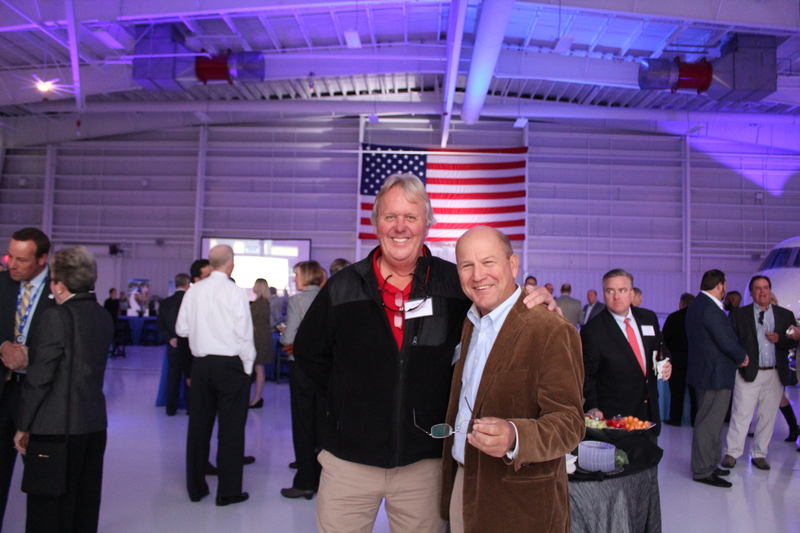 Over 300 WBD members and guests gathered in Live Oak Bank’s corporate aviation hangar at Wilmington International Airport for networking, news and more on November 15th. Lee Williams, founder and vice chairman of Live Oak Bank, outlined his company’s rise as a national small-business lender. In less than ten years, the NASDAQ-traded bank has grown its workforce to 435 and books $46 million in quarterly revenues. Live Oak hires graduates of UNC Wilmington, uses interns from area colleges and is an avid giver to community organizations in Southeastern North Carolina. “We have a longstanding relationship with WBD and expect that to continue moving forward,” Williams said. Bob Trapp, a Wilmington-based executive with Corning, presented the 2017 WBD/Corning Award for Excellence in STEM Teaching. The award is given in recognition of innovation in K-12 sciences, technology, engineering and math education in the region. Charles Leake, who has taught in the New Hanover County Public Schools since 2005, was this year’s recipient (see related story nearby). Verizon Corp received the 2017 WBD Ally of the Year Award. The company employs over 1,000 workers at its Wilmington operations, which were established in 2003. Verizon’s customer contact center generates a regional economic impact of $5 billion each year, according to an analysis by UNC Wilmington. The company also is a WBD Legacy Member and naming sponsor for the organization’s annual golf tournament. 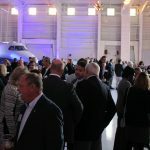 “Google the term ‘corporate citizen’, and I suspect Verizon’s logo would come up in your search results,” Satterfield told the gathering in presenting the award. 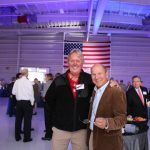 PNC Bank and Wilmington International Airport sponsored WBD’s 2017 annual meeting.